Sharon Wells Wagner is an Independent Publisher, Author, World War II Historian, and Watercolor Artist. She is Vice President of Aperture Press, LLC, an independent book publishing and design company, which she co-owns with her son, Steve Wagner. Aperture Press is an Arts Partner located in The GoggleWorks Center for the Arts in Berks County, Pennsylvania. Sharon is the author of Red Wells, and co-author of Ordinary Heroes: Untold Stories of World War II, and Forgotten Widow. Her passion for writing nonfiction continues in her first book for children, P.J. Finds a Home, which is scheduled for release on November 9, 2015. In her free time, Sharon’s favorite activity is attending AKC Dog Agility trials with her daughter, a seasoned competitor. Other favorites include playing with her dogs, traveling, playing Scrabble, fishing, and target shooting. Deeply spiritual, she loves the outdoors, particularly in fall and winter when she is most inspired by the natural world around her. She lives in southeastern Pennsylvania with her husband, Richard. Please visit the Books page for more information on her books, and the Artwork page for examples of her art and a link to her store. 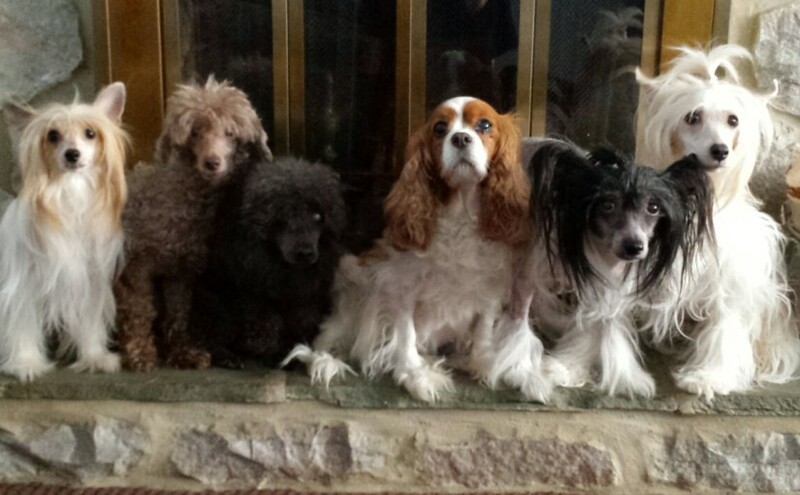 Dog’s in Banner: (L to R) Lass (powder puff Chinese Crested), Pharoah (miniature poodle), Jake (miniature poodle), Maggie (Cavalier King Charles Spaniel), Dolly (hairy hairless Chinese Crested) and Vesper (powder puff Chinese Crested).